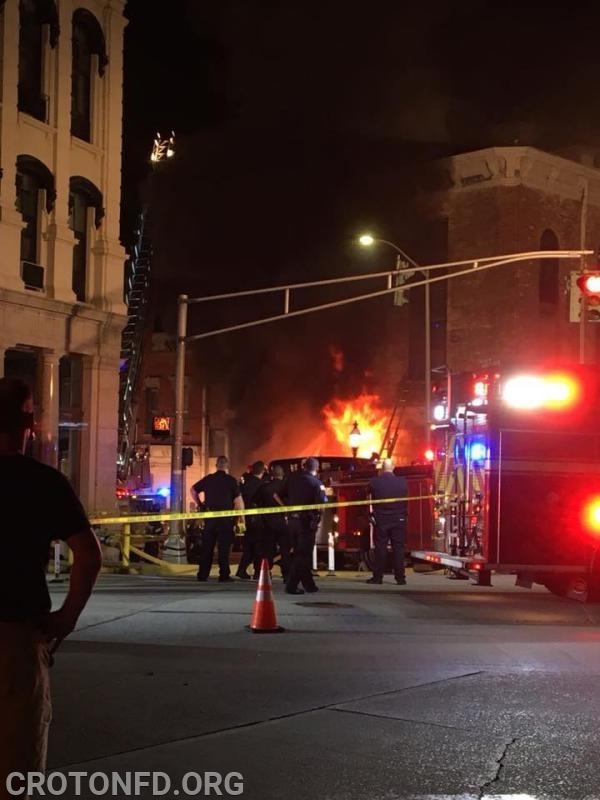 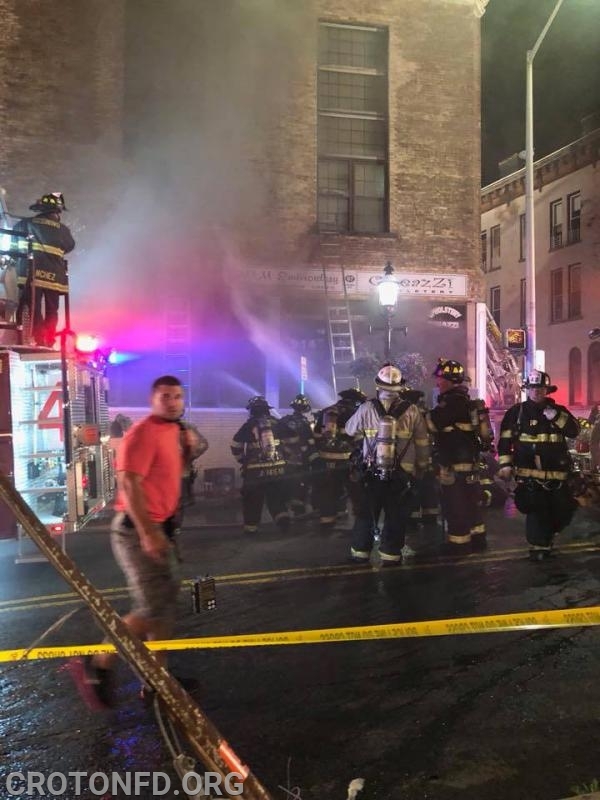 A stubborn fire in an older building in Ossining's downtown kept several area Fire Departments busy shortly after Midnight on Saturday, August 4th. 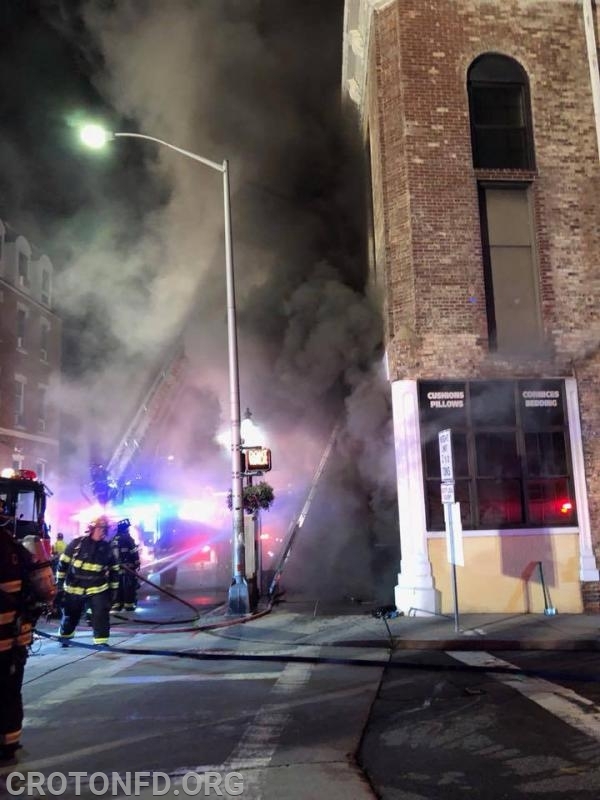 The OFD was dispatched for smoke from a building on Central Avenue around 12:15 AM - just hours after their annual firemen's parade. 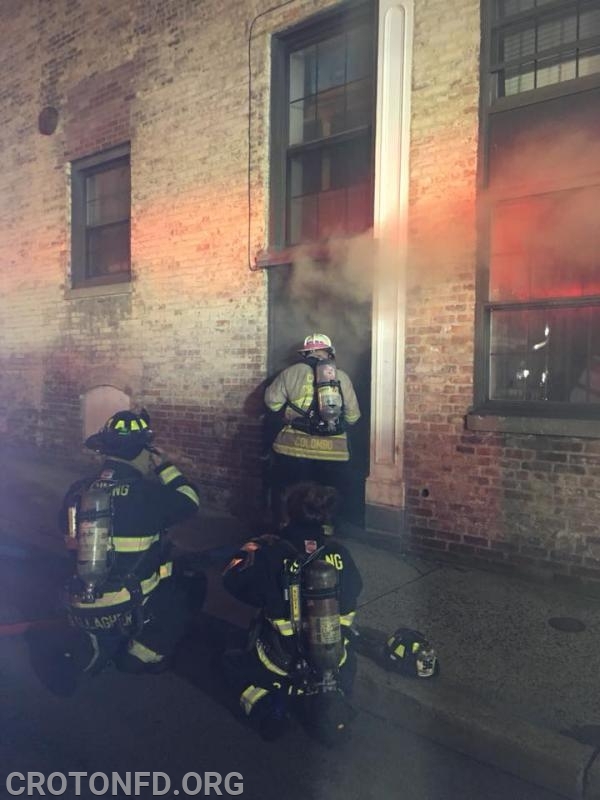 First-arriving units confirmed heavy smoke billowing from windows indicating a fire in the basement of the corner building. 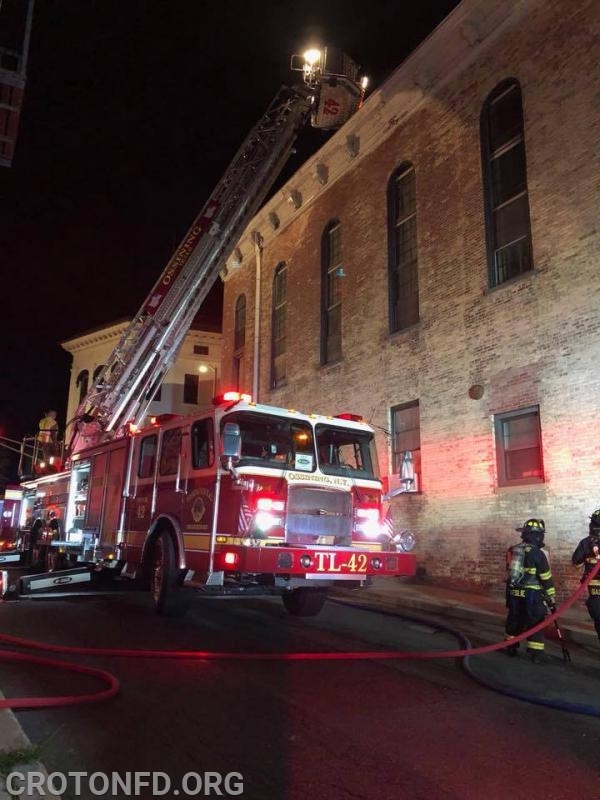 The Croton-on-Hudson FD was requested as the Firefighter Assist & Search Team, with Car 2081, Car 2083 and Engine 119 taking in the assignment. 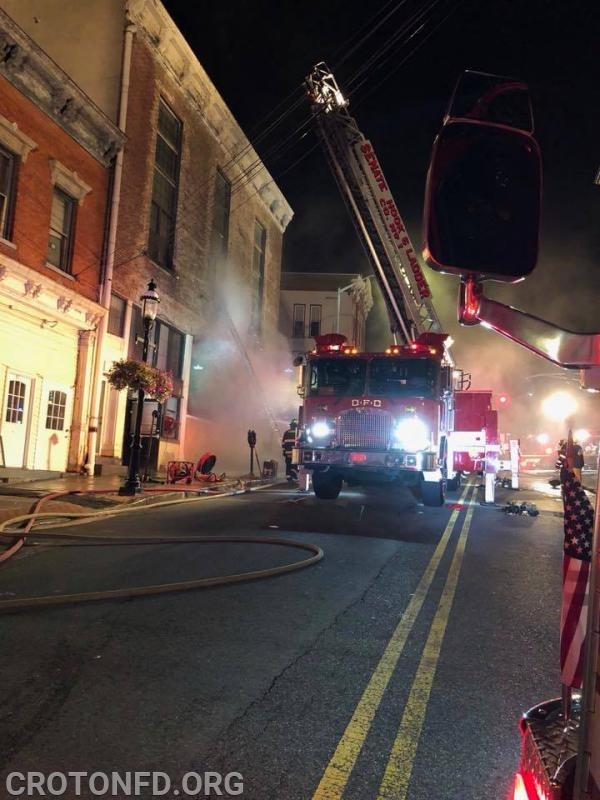 With the realization the basement of the fire building connected to other buildings, and the fact that the fire was still developing, our members were "put to work" assisting with the suppression and overhaul efforts once replaced by FASTeams from Yorktown and Valhalla Fire Departments. 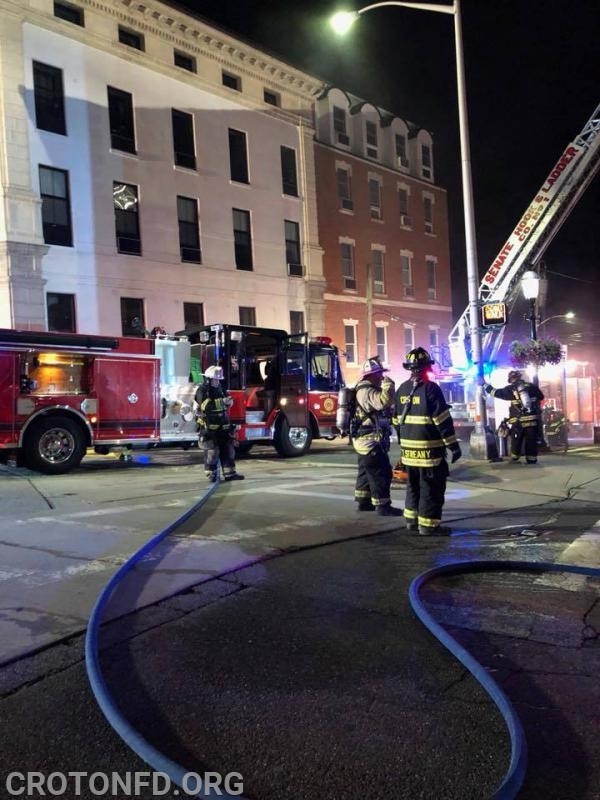 The ten members of Croton Fire operated on scene for close to four hours before returning to town. 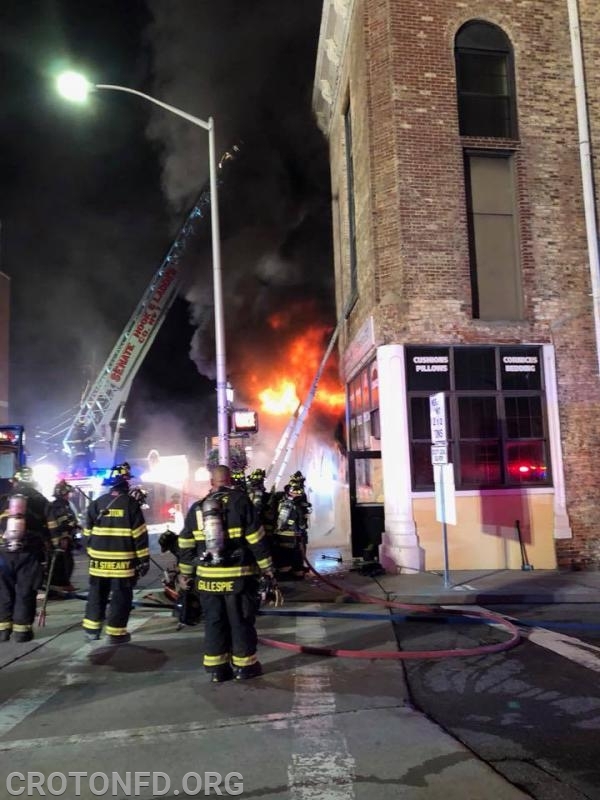 Thanks to the coordinated, aggressive fire attack by the OFD and their Mutual Aid Companies, the fire was kept from becoming a major conflagration, similar to that of their Main Street Fire in 1995.